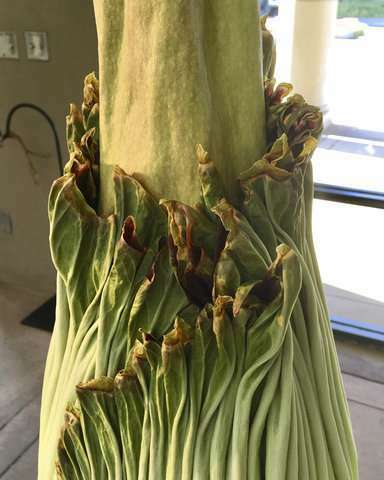 "The problem with these flowers is that it's always hard to tell because they always have a mind of their own, depending on the weather, depending on if it's ready to bloom," Tam said. 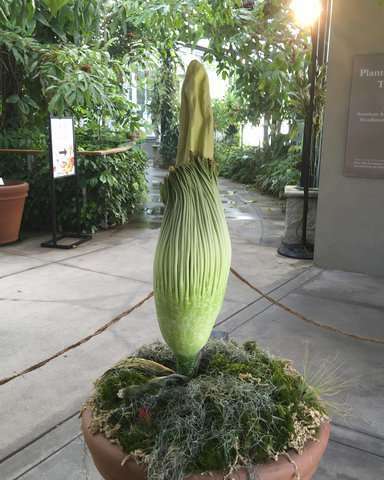 It typically takes 15 years for a corpse flower to reach a mature blooming size, and there are now 45 in Huntington's collection, Tam said. The 16-year-old plant is the offspring of a 2002 blooming. "We're getting to that age where they're all about to bloom fairly soon," Tam said. The foul odor attracts insects which aids pollination. 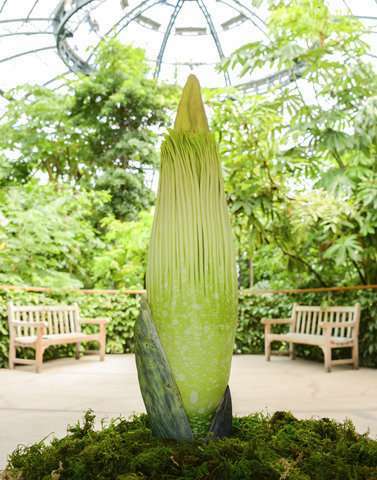 The plants don't emit the foul odor until the bloom, which usually lasts only 24 hours.